Most of us have heard, or used, this term sometime in our lives. Those of you who have kids have probably used it in its literal sense numerous times. Interestingly, this term dates back before your great-grandparents were born. This term dates back all the way to 1659 when a historian wrote a similar phrase in a book called Paramoigraphy. His version of this phrase is a bit different. He once wrote “No weeping for shed milk.” This saying has progressed over time. 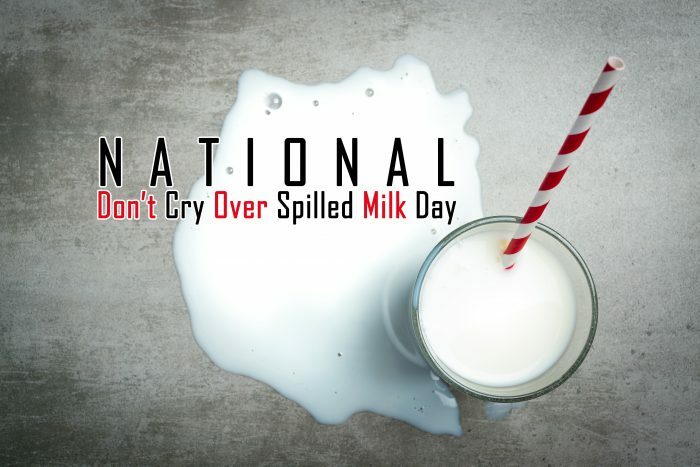 What does the term “don’t cry over spilled milk” mean? As with anything else, the meaning differs depending on your perspective. There are many interpretations of the meaning. This saying refers to the whole perspective of maintaining a positive attitude no matter what happens. Overcome negative thoughts with positive thoughts. Negative thoughts can often spiral out of control. When we are aware of the negativity, we can put effort into changing the pattern. The more you intentionally think positive thoughts, the more naturally positivity will come. Remember that there’s a bright side. In some situations, you may have to look a little harder, but it’s possible. In the face of a crisis, ask yourself, Is it possible for something good to come out of this? What is one positive thing about what’s happening? Practice gratitude. When you are feeling grateful, it becomes difficult to be negative. If you are thankful for something as broad as the gift of life, you can be more positive about the trials you are facing. If you’re alive, you have clothes on your back, food on your plate, a roof over your head, you have at least one thing to be grateful for.